I Grow All Kinds of Flowers. Nu er der mulighed for at opleve min ilddåb ud i virtuel kunst af en anden verden! Udstillingen er kurateret af Jon Paludan. Performer and visual artist Seimi Nørregaard offers a special experience at Boom Pearls in Second Life where an avatar of your own choice represents the body. Please visit the small shed in the woods! Enter and explore. 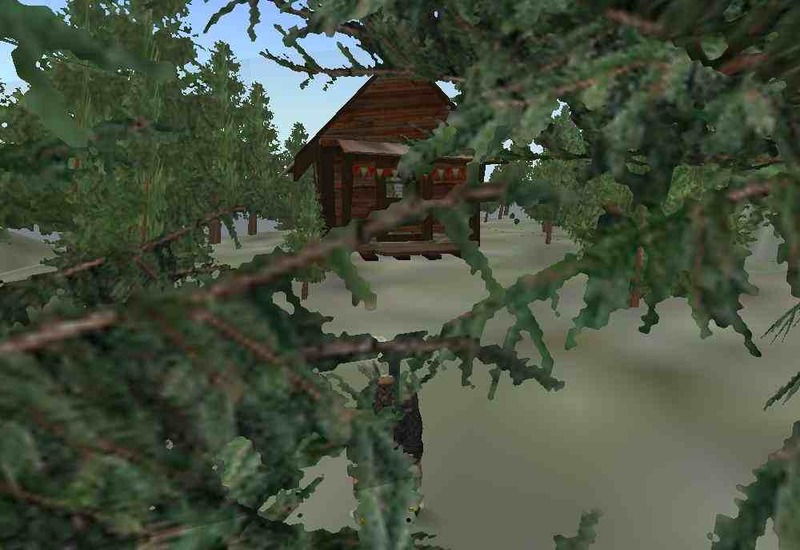 To get inside Second Life: First you need to make and account and an avatar, then download and install the program, before you can login, and learn to navigate your avatar, using the SLurl to teleport to the wood at Boom Pearls. The visitor can experience a choice of objects and scripts working together with the reading and using the media tools to make an installation. The distance between body and work is large. In that sense its a challenge that fits to Nørregaards universe. She works with recognisable situations, which have incorporated surprises and playful associations. I Grow All Kinds of Flowers talks to the visitors imagination. In Second Life it's all a kind of theater, where noone are themselves, it's a representation. In a sense you don't really have to account for what you do. But your actions are real, and you can control your avatar. Nørregaard has stated that she wishes the border between fantasy and everyday didn't exist so that the worlds, which she tries to create also exists in reality.